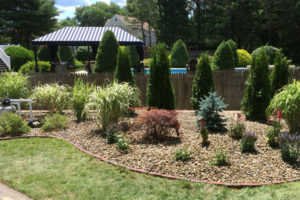 “Hattoy’s Nursery has been doing a great job on our weekly landscaping maintenance for many years now, so we decided to try them for a new landscaping project we had. They gave us excellent suggestions for plants that would thrive in the space and bloom at different times during the season so that the landscaping always looked fresh. The design Ethan created is beautiful, easy to maintain, and was accomplished within our budget! Ethan was easy to work with and the entire team was professional, reliable, and neat. I would not hesitate to call Hattoy’s again for any future needs.” – Cathy G.